Dr. Liberati is a 1982 graduate of West Virginia University School of Dentistry. He graduated Omicron Kappa Upsilon (dental honor fraternity). Before coming to Homestead in 1986, he worked with the public health service in Texas for 3 years. Dr. Liberati is married and has 3 children. 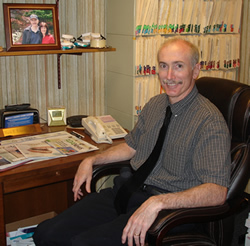 Dr. Liberati has been at this location since 1986.